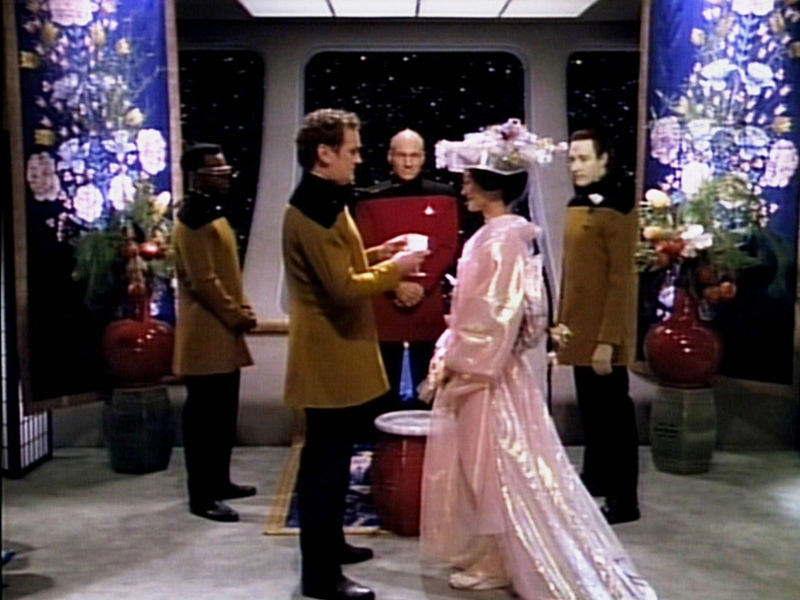 While penning a letter to Commander Bruce Maddox, Data examines a day of life that includes the wedding of Chief O'Brien and Keiko. 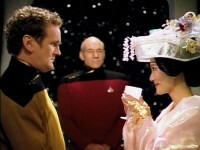 Note: Chief Miles O’Brien and Keiko are married in this episode. 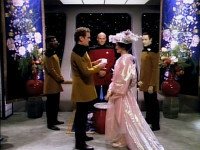 With O’Brien becoming a principle cast member of Star Trek: Deep Space Nine, the couple’s relationship becomes a major focus on the succeeding series.